With New Year’s Eve just around the corner, I thought it was only fitting to focus on glam pieces for this month’s edition. 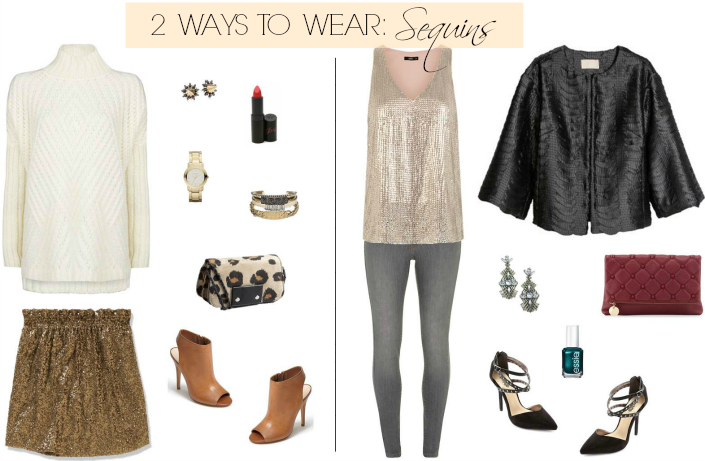 I’ve tracked down the most affordable sequinned finds from dresses & skirts to jackets & tops. And I’ve styled some of my favorites into 2 perfectly festive looks, proving that sequins don’t have to be reserved only for special occasions. Everything here is under $75 so it’s a great time to shop for something sparkly to add to your wardrobe!